Experts at Alert Logic noticed that before LockerGoga starts encrypting files on a system, it performs an initial scan to create a list of files it should encrypt. If it comes across a .lnk file — a shortcut or link used by Windows as a reference to an original file — it will stop without attempting to encrypt anything. Specifically, Alert Logic’s analysis shows that LockerGoga may be neutralized if the Recent Items folder contains a shortcut file that has an invalid network path or one that has no associated RPC endpoint. Researchers at Cisco’s Talos group have also made some interesting observations about LockerGoga. They noticed that some of the later versions forcibly log victims off on the infected device. This prevents them from logging back into the system, but in some cases this may result in the victim not being able to see the ransom note containing instructions on how to recover files. “These later versions of LockerGoga could then be described as destructive,” Talos researchers said. LockerGoga is said to be the piece of malware that disrupted operations at Norwegian aluminum giant Norsk Hydro last week. It was also reportedly used earlier this month in an attack aimed at Hexion and Momentive, two major US-based chemical companies owned by the same investor group. Norsk Hydro on Monday said it had made a lot of progress in restoring systems. 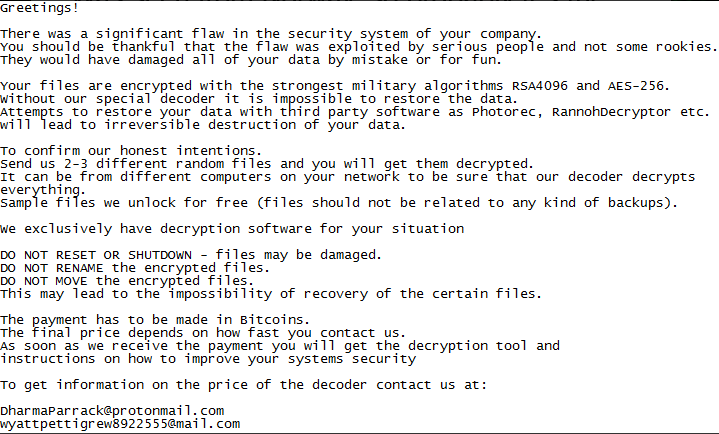 The firm never intended to pay any ransom as it has claimed to have good backups in place to restore compromised files. The chemical firms have been less transparent, but according to some reports they have been forced to replace hundreds of computers as a result of the attack. Many researchers have pointed out that LockerGoga does not have a built-in mechanism for spreading. In the case of the Hydro attack, for instance, it’s believed that the malware leveraged the organization’s Active Directory deployment to spread.